When planning an event, it’s likely that you will encounter roadblocks and stress. There are many details that go into event execution, and such precision can pose quite the challenge. Thus, it is important to remain calm and collected and to plan well in advance in order to make event planning enjoyable and simpler. Taking the time to go over logistics and accouterments, as well as notifying guests and contacting venues as soon as the date is solidified, can really aid in combating tension and constructing realistic deadlines. If you find yourself with deadlines that are too close to meet, it’ll only heighten anxiety and may lead to failure in locking down coordination details. Here are seven ways to make event planning as easy as possible and to have some fun in the process. After all, parties should be something to look forward to, right? Research shows that writing down information can increase the likelihood of those ideas becoming a reality. Think about all the features and logistical items you need to focus on during the planning process. Do you need music? Food? A speaker? By making a list in advance, you will be able to start checking items off sooner and feel more in control. Nothing makes party planning harder than feeling at your worst. If you are not in proper health, it will be more stressful to handle the process and make sure that all deadlines are met. While event planning can be challenging and time-consuming, setting aside time for self-care habits, such as exercise, grocery shopping for healthy foods, sleep and social interactions, will make a huge difference in keeping things on track. Without a doubt, obstacles can pop up and plans can change. Unless you are mentally prepared to handle these surprises, and perhaps disappointments, you may not be able to deal with the stress in an efficient manner and find a new solution that suits your altered needs. Stay open minded to different directions and be prepared to think on your toes when required. Rather than letting stress dampen the sentiment of the festivity, encourage your teammates and co-workers to think about how wonderful the event will turn out day of and foster those positive feelings in times of tension. Experts say that building camaraderie and optimism can lead to success and greater productivity. Set up a “countdown” board at home or at work and revel in the anticipation. While planning the fun, little details can be thrilling, it’s less worrisome if you cannot find a purple hydrangea than it is if you cannot book the speaker or band you desire ahead of time. Place larger, more tedious tasks at the top of your list so that you can check those off ahead of time and feel more lenient about the less importance items. Once you have selected your venue for the event, trust their opinions regarding a list of preferred vendors. If the venue finds these sources reliable, and has worked with them on previous occasions, then it’s likely that your event will run smoother with limited surprises or predicaments. Take advantage of these resources and know that your party details will be in great hands. Whether you are planning a wedding, graduation party, Mitzvah, birthday bash, non-for-profit event, or corporate gathering, honing in on your vision for the occasion and selecting details to complement can make the planning process simpler. It’ll be easier to find food, entertainment, décor, activities and favors if there is a set image in mind. While event planning is sure to bring about some added stress, it’s easy to manage it with these simple and effective tips. By sticking with your vision, enlisting help and support, and boosting excitement in anticipation of the big day, you’ll be able to throw a bash that will be memorable for years to come. 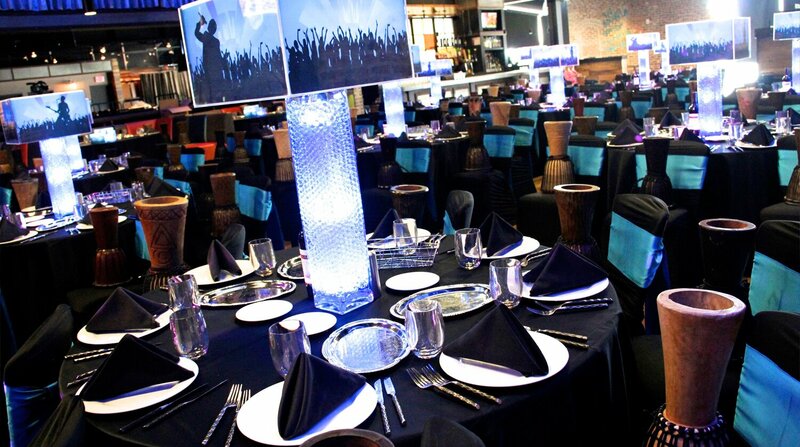 Interested in scheduling your next event? Contact Viper Alley at 847-499-5000 or info@viper-alley.com.